A new report from The Wall Street Journal says the Apple Car will drive out in 2019, but won't be driverless as some have predicted (though it will be all electric). Let's assume the WSJ is right. 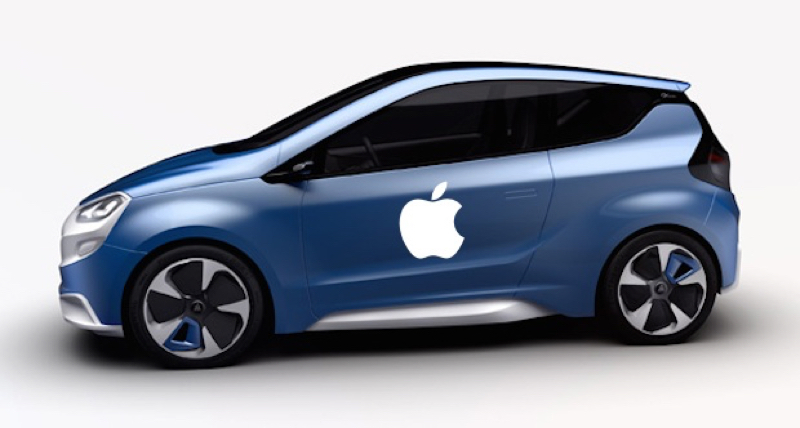 This will be version 1.0 of the Apple Car. But what might version 2.0 be like? Version 3.0? Version 20? At some point the Apple Car may not only lack a driver behind the wheel, but also come without a steering wheel, gas or break pedals, a horn and review mirrors. In 2014 IEEE, a technical professional organization dedicated to advancing technology for humanity, unveiled the findings of a survey that revealed expert opinions about the future of driverless cars, such as speed bumps to mass adoption, essential autonomous technologies, features in the car of the future, and geographic adoption. More than 200 researchers, academicians, practitioners, university students, society members and government agencies in the field of autonomous vehicles, participated in the survey. When survey respondents were asked to assign a ranking to six possible roadblocks to the mass adoption of driverless cars, legal liability, policymakers, and consumer acceptance were ranked as the biggest obstacles, while cost, infrastructure, and technology were viewed as the smaller speed bumps. "Anytime you have a technology that has the potential to fundamentally change our daily lives, laws and policies need to be established to ensure the technology is going to be used properly and benefit humanity. This is especially true with intelligent vehicles," says Yaobin Chen, IEEE senior member and professor and chair of electrical and computer engineering at Purdue School of Engineering and Technology. "Once the foundational elements, like legal liability and policy, are in place, the technology and infrastructure will be there, so intelligent vehicles will become more widely accepted." As more autonomous features are being incorporated into cars, it will enable them to be manufactured without some of the equipment that's commonplace today, according to IEEE. When asked to specify the year in which specific equipment will be removed from mass-produced cars, the majority of respondents believe rearview mirrors, horns, and emergency brakes will be removed by 2030 and steering wheels, and gas/brake pedals will follow by 2035. In addition, more than 75% of respondents also indicated that all 50 U.S. states would pass legislation permitting use of driverless vehicles within this time period. "We've seen incredible growth in the driverless vehicle industry over the past few years, both in technological advancement and manufacturer acceptance, that has dramatically affected the consumer adoption timetable," says IEEE Fellow Alberto Broggi, professor of computer engineering at the University of Parma in Italy and founder of VisLab. "The scientific community and car manufacturers have been working together to incrementally include autonomous features in modern day cars, with the intention of producing driverless vehicles in the near future. For mass adoption, it's important that we begin trusting this technology." Advancements in technology will be the most instrumental in the continued development of driverless vehicles, with more than half (56%) of respondents believing that sensor technology is most essential, followed by software (48%), Advanced Driver Assistance Systems (47%) and GPS (31%). "A driverless car needs a constant stream of information of the road and its environment to make calculated decisions, which are referred to as perception. Sensors are one of the most important and trusted technologies for advancing perception scenarios," says Christoph Stiller, IEEE member and professor at Karlsruhe Institute of Technology, Germany. "Sensors are small, non-intrusive and offer reliable data. Also, sensor technology is relatively cheap and will be influential in creating affordable driverless vehicles." Along with sensors, creating digital maps of the road is a necessary function for allowing autonomous vehicles to travel safely on the roads. When asked to predict how long it will be before a complete digital map of the world will exist, nearly three quarters (74%) of respondents indicated these maps will be available within the next 15 years. While autonomous cars will prove to be beneficial around the global, the majority of experts (54%) believed that North America would most benefit from driverless vehicles, with Europe second (28%) and Asia (17%) rounding out the top three.